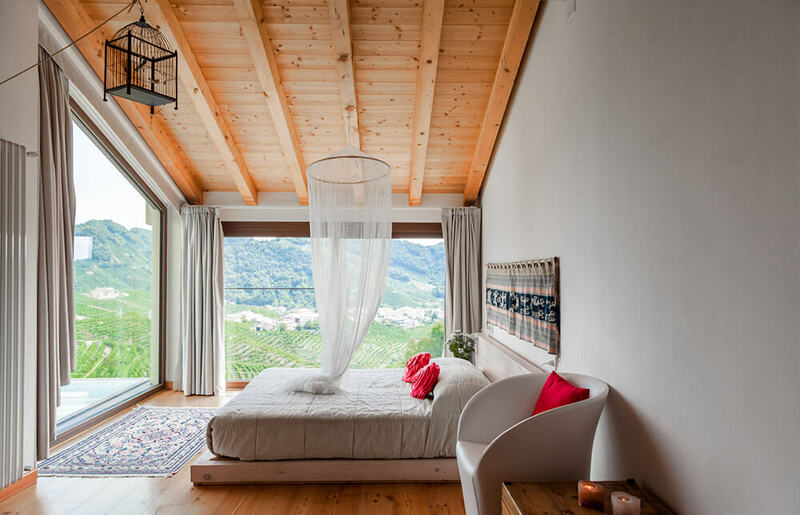 The Daybreak Room, or the Traveller’s Room, faces east and catches the morning sun and frames the small village of Santo Stefano, the hills and the vineyards. The bathroom picks up the shades of purple of the first lights of daybreak. We thought of the traveller that comes from afar relaxing in this room, hanging his clothes and putting down the objects that are dear to him, collected in the countries that he has visited. He stops here to seize the spiritual and ephemeral beauty of the sun that rises between the hills and the small villages and to enjoy the silence of a view that looks like a painting. 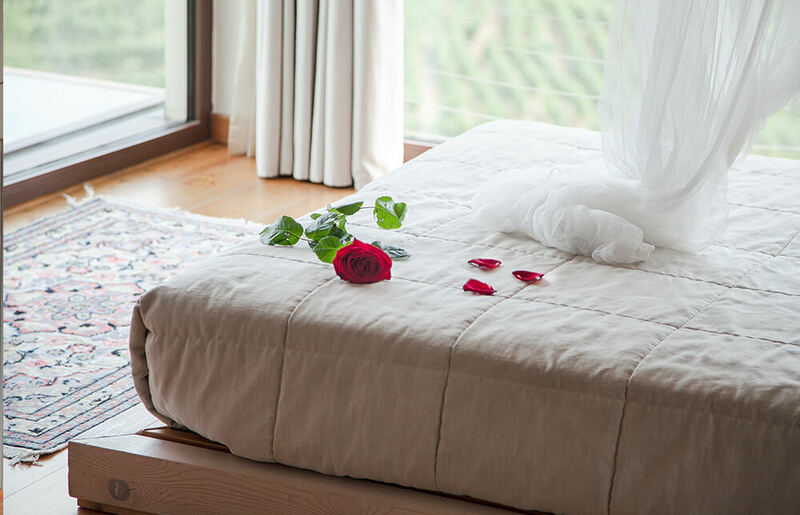 Facilities: Private bathroom with massage shower and tub, hairdryer, satellite TV, minibar, air conditioning / heating, wi-fi, kettle with tea and coffee, beautiful views of the hills and vineyards.